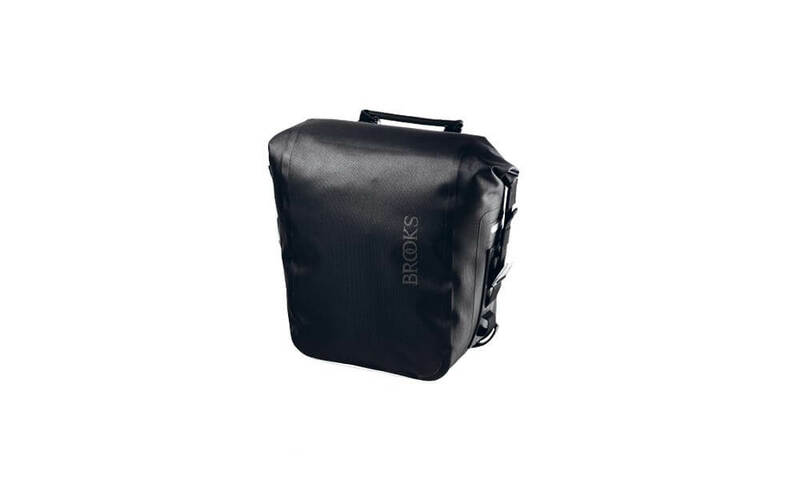 The Brooks John O’Groats Front Travel Panniers are named after the famous Land’s End to John O’Groats cycle route which traverses the length of the island of Great Britain between its two furthermost extremities. Hundreds of cyclists attempt this 874-mile route yearly, facing the challenges of Britain’s inclement weather. The panniers are waterproof, light and durable to meet the demands of long distance cyclists, without sacrificing style. 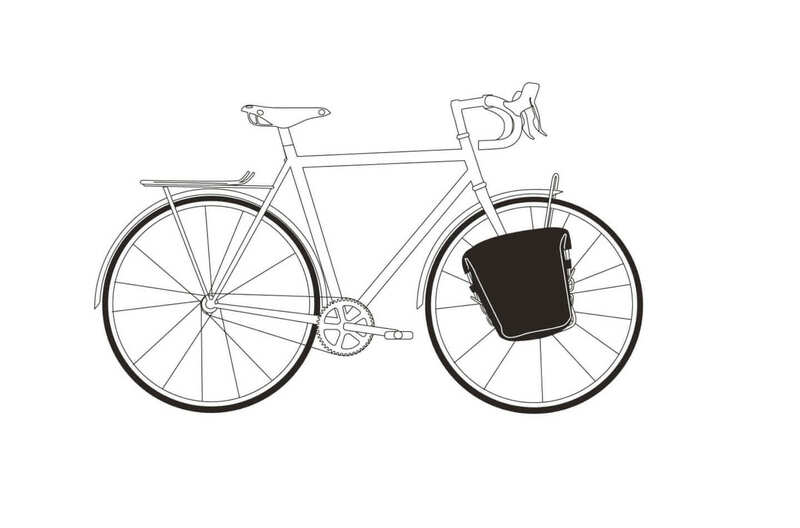 The closing system of the bag featuring a stylish leather insert enables cyclists to adjust the volume of each bag from a minimum to a maximum, as follows: Front Panniers min/max 12/15 l. Important Note: Pannier Sold Individually. In order to purchase a set of panniers as shown in the photo, please place 2 in the shopping basket. Panniers can be mounted on the left or right side.